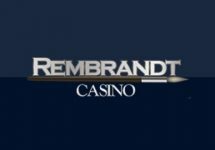 Last casino promotions for 2017! A Happy and Lucky New Year to all our readers from all of us at NetentStalker! 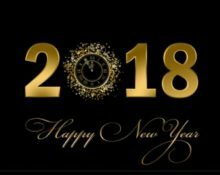 It has been quite an eventful 2017 in the online casino world which has seen great new game releases, huge jackpot winners, awesome Christmas calendars and ultimately a whole bunch of new casinos ready to give players the best entertainment possible. This is certainly set to continue in 2018 with already now scheduled games releases, more casinos getting ready to launch and surely there will be again some very lucky players who will see their life changed forever by a jackpot win in the millions. There is a whole myriad of offers to say “Goodbye” to 2017 and “Welcome” to the New Year whether it is a Deposit Bonus, Free Spins, Wager Reward, Wager Race or Slot Tournament. Hence, I thought it would be a good idea to have them all on one page to make the search and selection as easy as possible. There is something for every taste and budget. Clicking on the casino name will take you to the casino review page from where you can get re-directed to the site. Good Luck! 6th – 31st December 2017: Earn one ticket to the prize draw for every €200 wagered in one promotion day on Netent slots only. Amount of tickets per player is not limited. Prizes are two amazing holiday packages, worth €50,000 each, that include business class flights, 5* accommodation and dining in a Michelin Star restaurant. Winners will be announced latest on 5th January and can choose from five exclusive holidays. 28th December 2017 – 2nd January 2018: Yggdrasil €80,000 Mission Tournament Mission Tournament on Jungle Books, Legend of the Golden Monkey, Vikings Go Berzerk and Vikings Go Wild to complete four missions in the fewest possible spins. Minimum bet is €0.25 or currency equivalent. The TOP800 players on the leader board, who complete the missions in the fewest spins, will win cash prizes ranging from €20 – €10,000. All prizes are credited within 72 hours with no wagering requirements. 21Prive Casino – 200% deposit bonus, up to €50. Betat Casino – Claim 50 Free Spins, 100 Free Spins or 30 Super Spins on Tornado: Farm Escape, The Lost Island or Wild Turkey with a deposit of €25 | €50 | €100. Use the designated codes on the promotion page when making your deposit. Betive – Deposit €20 | €50 | €100 to instantly receive 25 | 75 | 200 Free Spins on Starburst. 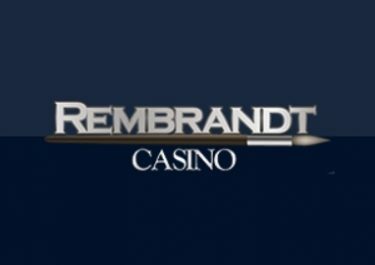 Bethard Casino – 10 Free Spins on Starburst, instantly credited for answering the quiz question correctly, no deposit needed. Plus more Free Spins on deposit for Twin Spin. Betsafe – Slots Battle: Prosperity Palacce vs Fu Er Dai. Wager €50 on either or both games. 30 Free Spins will be awarded to players who wagered on the game which pays out most during the day. 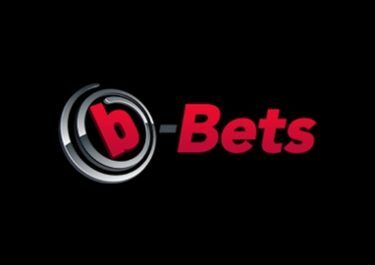 Betsson – 5 Free Spins on Starburst, no deposit needed. Plus earn 1 ticket to the Exclusive Japan Adventure prize draw for every €10 wagered on Starburst. Winner is announced within 72 hours. BGO Casino – Deposit £10 and receive a £10 bonus tomorrow if you lose. BitStarz – Dream Island campaign with rewards on level up. Casino Adrenaline – 30% cashback bonus on net losses. Casino Calzone – 5% cashback on net losses from play on slots. Casino Cruise – Three reload bonuses, up to a total of €200. Check the cashier. Casino Euro – Goodie Bag: Deposit €30 to receive 30 | 30 Free Spins on Starburst | Gonzo’s Quest. Plus get Free Spins on Cosmic Eclipse when voting in their annual survey. Casino Jefe – Get one spin on the Jefe Jackpot Wheel for every €50 deposited. Prizes on the Wheel are win Free Spin bounties, cash prizes or the main prize, a whopping €5,000 Jackpot. Casumo – Last day of Week 7 of The Super Snowball campaign. 50% Deposit Bonus in the wooden chest, up to €25. Chance Hill – 15 Free Spins on The Legend of Shangri-La: Cluster Pays™ for every deposit of €10, up to 75 FS. Codeta Casino – Last Day of December Gift Hunt. Log-in is required. ComeOn Casino – Last day of the Christmas Calendar 2017. Log-in is required. Dunder Casino – Deposit minimum £10 to instantly receive 30 Free Spins on Starburst. Plus earn the last tickets for the monthly Christmas Prize Draw. Energy Casino – New Year Countdown tournament for the highest equalized coin win in a single spin on selected slots. TOP1,500 win between 5 Free Spins to €500 in cash + 200 Free Spins. All Spins are on Finn and the Swirly Spin™. EuroSlots – 25% deposit bonus for up to 10 deposits between 22:00 – 02:00 CET, maximum €25 per deposit. G’Day Casino – 200% deposit bonus, up to €50. Guts Casino – Winter Wonder Land campaign with daily offers, races and prize draws. 100% Deposit Bonus, up to €20. Plus 18 Free Spins on Starburst when claiming the full bonus amount. Hello Casino – 200% deposit bonus, up to €50. iGame – One Free Spin on Dead or Alive. The player with the highest result from this spin will receive 300 Free Spins on the same game, credited the following day. Plus deposit €25 with code XMAS31 to receive 50 Free Spins on the same game. LVbet – Last day of Christmas challenges and rewards. Maria Casino – £20,000 Tournament on Lucky Links for the highest equalized win in a single spin. MobileBet – Deposit €15 and wager it 1x on Gonzo’s Quest to instantly receive 15 Free Spins on Mega Fortune Dreams™. Mr. Green Casino – Earn up to 200 Free Spins on Starburst. Deposit and wagering is needed to claim the offer. Mr. Smith Casino – Deposit £20 and wager £50 on Danger! High Voltage to receive 50 FS on Cosmic Eclipse™. Wager another £300 to receive 20 BIG Spins on the same game, worth £1.00 each. 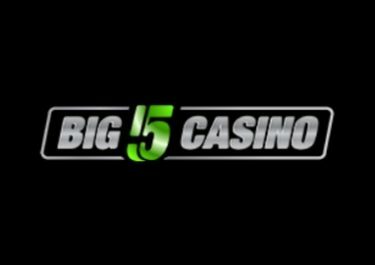 Then wager a last £450 to receive 10 Super BIG Spins, worth £3.00 each. Nordic Bet – Surprise Box with Free Spins after wagering €50 on slots. Choose between two boxes before wagering the required amount. PAF Casino – Earn 30 Free Spins on Prosperity Palace when you enter one time the Free Spins feature on the game. Minimum bet is €0.20. PlayAmo Casino – Weekend wager race with a €2,000 prize pool. Quasar Gaming – 10% cashback on net losses when playing on slots, up to €250. Rizk Casino – Three Rizkmas Races starting a 19:00 CET on Gold Lab | 20:00 CET on Second Strike | 21:00 CET on Wild Toro with €2,500 | €2,500 | €5,000 cash prize pools. Royal Panda – Surprise amount of Free Spins on Divine Fortune, no deposit needed, for all players who deposited in December 2017. Slot Planet – Deposit €25 | €50 | €100 to instantly receive 25 | 50 | 100 Free Spins on Guns N’ Roses™. Slotty Vegas – Claim 50 FS, 100 FS or 30 Super Spins on Neon Staxx, Guns N’ Roses or Jimi Hendrix™ with a deposit of €25 | €50 | €100. Use the designated codes on the promotion page when making your deposit. SpinAndWin Casino – 75% deposit bonus, minimum deposit and maximum bonus based on loyalty level. Spinit Casino – Choice of three Mystery Bonuses can be claimed in the cashier. Super Lenny – 25% Deposit Bonus, up to €25.00. Plus take part in the New Year Countdown Race and earn 1 point for every €10.00 wagered on any game. TOP10 win cash prizes from €50 – €2,500. Trada Casino – 50% Boost Cashback, up to €50. Use code 50XMASCB with your deposit. Vera & John Casino – Claim the last offer from the Christmas Calendar. Log-in is required. Videoslots – Free Battle of Slots on Book of Dead with a prize pool of 30,000 Free Spins. TOP1,405 win 5 – 1,000 Free Spins on Book of Dead. Must have deposited €20 and wagered €200 in the last 6 weeks to be eligible. Wild Sultan Casino – 50% Deposit Bonus, up to €500. Winning Room Casino – Last day of the Christmas 2017 calendar. Log-in is required. Good luck on the last gaming adventures in 2017 and all the best for 2018!